Share "How to Use a Snow Blower Effectively"
That pile of snow outside your window may be staring at you, begging you to clean it up, but before you put a snow blower to work, make sure you know how to use it properly and safely. You should give this handy piece of equipment the same level of respect regarding safety that you would a lawn mower and weed whacker. Just because a snow blower pushes around white fluffy stuff instead of cutting blades of grass and plants does not mean it cannot harm you. 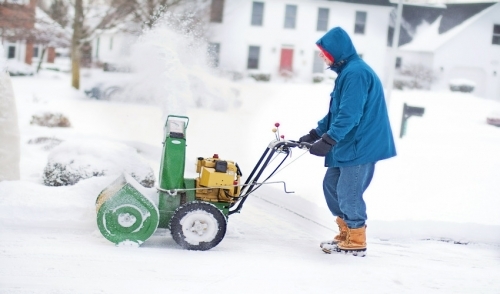 The American Academy of Orthopedic Surgeons reported that several thousands of people each year suffer injuries every year due to snow blower related incidents. These injuries typically occur when snow blower operators attempt to clear the discharge chute with their hands instead of the proper tools. People tend to forget that sometimes the blades may still be moving even after the machine is turned off. One important, albeit obvious, safety tip to remember when using a snow blower is to watch where you aim when the machine is in use. If snow is shooting towards your house, you could damage your home or break a window. Remember that not all snow is soft and fluffy; where the snow is blown is very important in terms of keeping objects and people safe. Be sure to thoroughly inspect the area before use and do not operate around small children or animals. Always work in the daylight to avoid hitting obstructions. To prepare the snow blower, be sure to read through the user manual and to check the condition of the snow blower before using it. You want to make sure it is completely fueled and check the oil. Double check that all your clothes are tucked to avoid getting caught in the blower, and keep an eye out for ongoing traffic. When snow blowing your yard or driveway, blow the snow in the direction of the wind, never against it. This will ensure that you do not have to keep doing the same areas. Before blowing the snow, consider where all the snow will be piled up. Over time this can really add up, so avoid making huge mounds that can cause problems in the future. Such problems that may occur include blocking the ability to see street traffic, potential hazards for people to fall, difficulty walking around the street or sidewalk, and flooding when the snow begins to melt. To help avoid these problems, develop a pattern when using your snow blower. You want to create an efficient pattern to clear the snow to help reduce time and the amounts of times you blow your snow. Using a snow blower effectively is quite simple. It just requires a detail oriented mind and the proper safety precautions. Remember to leave the shoveling for after the snow blower has done the bulk of the work. 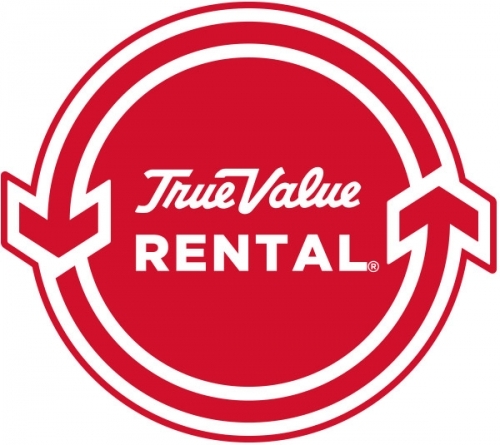 And always feel free to ask the experts at your rental center if you have any questions about a snow blower. © 2019 Westbrook Taylor Rental . All rights reserved.